Find out if Quotemehappy.com made it into our list of the Top 10 Car Insurance Companies. Quotemehappy.com is an online car insurance business that is part of Aviva Group, one of the UK’s biggest insurance companies. We've also reviewed Aviva's car, pet, travel, home and life insurance policies. Less tech-savvy drivers may find it harder to deal with Quote Me Happy because no claims bonus documents are not accepted in hard copy form, only via an upload or email. But because customers can view all documentation online there is no need to worry about losing paperwork or waiting for policy papers to arrive by post. Quote Me Happy offers cover for drivers aged 21 to 75. It excludes drivers who have more than 1 claim or 2 minor convictions in the past 5 years. It aims to insure safer drivers so that it is taking less risk, which means careful drivers won’t be paying higher premiums because of the mistakes of reckless drivers. Drivers under 21 might be interested in our list of the best insurers for young drivers and our guide to black box insurance. Other Quote Me Happy exclusions include drivers living in Northern Ireland, the Isle of Man or the Channel Islands. Cars over £70,000 and vans or cars older than 13 years old are also excluded. Its standard cover includes accidental damage, loss, fire, theft, third-party damage, a courtesy car and European cover. See how Quote Me Happy compares with other companies in our guide to the top 10 car insurance firms. How much does Quote Me Happy car insurance cost? Your premium will depend on where you live, how old the car is and the exact make and model and value of the car, as well as where the car is stored and a range of other factors. We were quoted £825 a year for a 5-year-old Ford Fiesta owned by a 32-year-old, with 9+ years of driving experience, living in Milton Keynes. This quote is accurate as of November 2017. For more information on this, read our article on the cost of car insurance. Quote Me Happy offers personal accident cover of up to £5,000 a year and the maximum amount of cover per claim is £2,500. The company provides European cover if the trip is under 90 days. Third-party injury is covered up to a maximum of £20,000,000, as well as legal defence representation costs that they consent to up to £5,000,000. Fire damage for your car is covered up to the market value if the car is not fixable. There is also third-party cover for you to drive other cars. For glass repair there is a £10 excess for repair or £75 excess for replacement. Audio equipment is also covered up to a limit of £500. Cover for damage should pay for your car to be repaired or replaced at its market value. Quote Me Happy also offers a range of optional extras to bump up your cover, including protecting your no claims discount if you have 3 years or more. 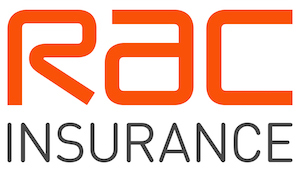 The extras include a higher level of personal injury cover and breakdown cover from the RAC. The RAC is included in our list of the 13 best breakdown providers here. Keycare is available for loss or damage and a claim will not affect your no claims discount. What do Quote Me Happy customer reviews say? Online customer reviews of Quote Me Happy are mixed. On the Reviews.co.uk website it scores an average of 3.02 out of 5 from 359 reviews. But on Reviewcentre.com it scores 1.2 out of 5 from 270 reviews. Over on Trustpilot, Quote Me Happy have been awarded 8.5 out of 10 based on 766 reviews. Independent financial services rating website Defaqto gives Quote Me Happy a 4 Star rating. "Made a claim and all was resolved easily and quickly. We literally didn't have to lift a finger. The vet contacted Bought by many. Who th..."
We've ranked the top 10 car insurance firms. Learn about the best breakdown providers.